I started my Salesforce career as one of the first AppExchange partners in 2006. I joined Salesforce in 2010 and have spent the last 6 years in product management in the Service Cloud. 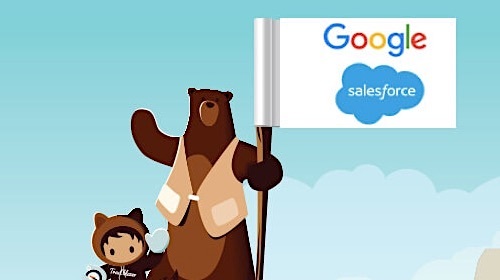 My best experiences here at Salesforce have been helping customers and SI partners achieve success with Salesforce products, and helping ISV partners build and launch great apps to complement our core products. I have a passion for great Salesforce implementations that create value for businesses and make heroes out of Salesforce professionals. I have a message for you. You’re not going to like it, but I’m going to say it anyway. 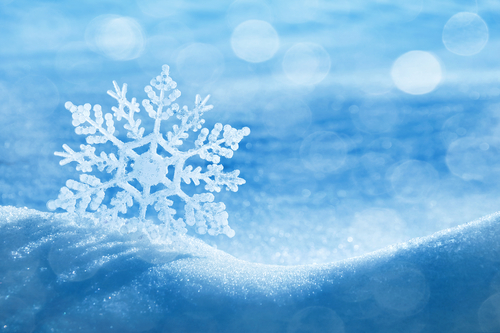 You’re not a special snowflake. Let me explain. Hear me out. It may just save you and your company (or client) massive amounts of money and make you a hero in the process. Yes, your business is unique and you have some requirements and business processes that set you apart. All businesses do. This is why Salesforce has the absolute best platform for customization. This is why Salesforce lets you customize your data model by creating custom fields and custom objects. This is why Salesforce has Process Builder which lets you manage your business processes visually and easily. This is why Salesforce gives you App Builder, and Apex, and Lightning and Heroku… Anything you need to do, you can do it on Salesforce. But sometimes you take it just a little too far. Sometimes, you get the urge to build your own Contact object or Case object, and replace standard Contacts or Cases. Sometimes, just sometimes, you think you need to build an entirely new UI for your call center agents to replace the Salesforce console. Please don’t do that. It makes me sad. You don’t NEED to do it. You’re not a special snowflake. The reason it makes me sad is because you get a massive amount of value when you use our standard functionality. Even when you customize the heck out of that functionality, you get a lot of value as long as you don’t go and replace the whole darn thing. If your use case is managing contacts and accounts, use the standard Contacts and Accounts objects. If your use case is case management, use the Case object. If you need a high-productivity, multi-record user experience, use the Salesforce Console. If you need to support a field service team, use Field Service Lightning. If you need to customize any of these things, start from the standard functionality and then customize. Don’t replace the objects from scratch with a custom object. Don’t build an entire UI from scratch using code. I’m going to lay out the Top 5 Reasons (plus some BONUS reasons) why you should use standard objects/functionality every single time you implement Salesforce. If you’re still not convinced, you can contact me directly and we’ll talk about it (I’m serious, reach out). The first and most important reason to use standard objects (like Account, Contact, and Case) and standard functionality (like the Salesforce Console) is that this is where Salesforce’s R&D innovation is focused. At Salesforce, we perform extensive user research, market research, and customer interviews to determine what new features are needed and most requested. We then invest enormous amounts of UX, PM, Engineering, and Quality resources in building and shipping new functionality 3 times per year. With Salesforce, you’re always on the latest version, which means you can simply “turn on” this new functionality when it ships. That means, if you needed any of these features, you need to decide if you should re-implement on the standard objects, or should you invest your own resources in building this functionality yourself. It also means that you’re not swimming with the current. As of this writing, Salesforce has 150,000+ customers using Salesforce and the standard objects. We’ve spent 17 years (as of the time of this writing) optimizing the functionality in the standard objects and we have customers achieving massive scale with these objects. Does your call center handle over 1 million cases per day? Some of our customers do. If they can do it, so can you. When you use our standard functionality you get to inherit the experience and scale of our largest and most complex customers. Either way, you’re left with an un-optimized use of Salesforce. And that just makes me sad. It isn’t just Salesforce R&D that targets all of its innovation around the standard functionality. Our partner ecosystem builds all of their apps around standard objects and standard functionality as well. For instance, there is a great partner on the AppExchange today, Internet Creations. They have built dozens of agent productivity tools to make call center agents more productive. Some of these apps are free and can save your company (or client) massive amounts of time and money. You can install them with a single click. ALL of them require you to be using the standard Case object. So, if you decided (and it might have sounded like a good idea at the time) to replace the standard Case object with a custom object to meet some special requirement - you’ve locked yourself out of instant value from hundreds of AppExchange apps. By tapping into the AppExchange, you bring best of breed innovation to your company, users and customers, quickly and easily. 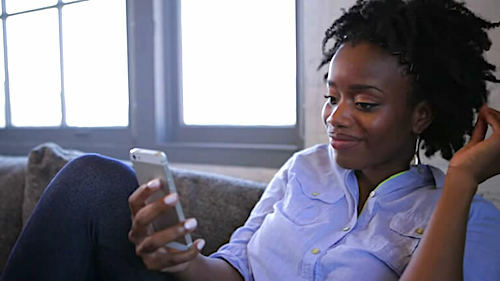 This unlocks time and energy you can spend on adding value unique to your business, optimizing your operations, and connecting to your customers. Every time you make the right choice - to use a standard object instead of a custom one, or to use a standard UI instead of building your own - you immediately free up time and budget to use on optimizing your implementation to match your business processes and your user’s needs. a) It can accelerate the deployment of your initial test or pilot phase. This gives you more time and additional cycles to iterate with that pilot group and deliver the best solution possible for go-live. This will help drive adoption, productivity and satisfaction among your users, and in the case of a Service Cloud implementation could bring a major uplift in end-user CSAT. b) It might also allow you to include items in the initial scope that were scheduled for a future phase. This brings value forward and ultimately helps drive whatever business goals your Salesforce implementation was targeting. This could mean a major difference in increased revenue or decreased cost for the business. Salesforce usage, administration, and development are all highly sought-after skills. Companies are trying to hire and retain the best, most experienced Salesforce resources and keep them productive. In fact, Salesforce recently launched Trailhead. Trailhead is a guided training system with hundreds of learning modules for Salesforce beginners all the way through advanced developers and executives. Trailhead teaches people best practices and patterns for working with all of the rich standard functionality in Salesforce. It will create a new generation of users, admins and developers all trained on the Salesforce platform. This means shorter ramp up time and faster time to value for anybody you hire. But even before Trailhead, the best Salesforce resources working today have spent their careers working with the standard objects and functionality. They will be able to bring their expertise to bear in your org much more quickly and with better outcomes if you’re using standard functionality. If you decide to replace standard functionality or build completely custom experiences, you limit how much impact they can make and they may have difficulty unraveling the work that has been done. This ultimately means that people you hire will face a period of low productivity as they ramp up on your implementation, and may take longer to complete updates and modifications as you request new enhancements from them. a) Two business units who are using separate Salesforce orgs decide to merge their operations and need to merge their Salesforce implementations. b) The company acquires another company, and the acquiree uses a Salesforce org that needs to be merged with the parent’s. c) The company gets acquired and needs to merge their org with the new parent’s org. In all of the above scenarios, if the companies are using standard Salesforce objects and standard functionality, the work required to complete the org consolidation will be infinitely easier to achieve. This could mean the difference in months of work and lost productivity, which can translate to big bucks for even a small operation. I added this one as a bonus because I wanted to have a “Top 5” list and this was my sixth. At Salesforce, we talk about the concept of Ohana. Ohana is our family, our culture. You can learn more about it on Trailhead (https://trailhead.salesforce.com/en/module/manage_the_sfdc_way_ohana). When you choose Salesforce, you also become part of the Ohana as you participate in the Salesforce community. When you use standard objects and standard functionality, you’ll be speaking the same language as this community. When you ask for help, they’ll immediately know what you’re talking about, and they’ll already have implemented a solution to your problem in the past. And, when you use standard objects and standard functionality, you’ll often come up with novel solutions that you can contribute it back to grow your own career and personal brand. If you’ve decided to “roll your own”, it will be very difficult to contribute to the community and it will often decrease the amount you can learn. This will ultimately translate to wasted time and money, and increased stress. Salesforce gives you a lot of power. With great power comes great responsibility. To get the most value out of your Salesforce implementation, start with the standard objects and functionality. This will allow you to get the most out of our investment in our products, our partners investments in the Appexchange, and will optimize the speed and value of all of your investment in your implementation. Want more information? Was this helpful? I’d like to hear from you, please reach out to me on Twitter (@jonaniano) and we can connect. Also, keep an eye out for the next post in November. 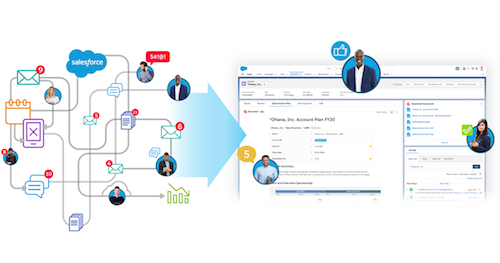 I’m writing about why all Service Cloud customers should be using our Omni-Channel features to push work to agents and optimize their customer engagement centers. If you have other topics you’d like to hear about, let me know.